International Workers' Day (also known as May Day) is a celebration of the international labour movement. May 1st is a national holiday in more than 80 countries and celebrated unofficially in many other countries.International Workers' Day is the commemoration of the 1886 Haymarket affair in Chicago. The police were trying to disperse a public assembly during a general strike for the eight-hour workday, when an unidentified person threw a bomb at them. The police reacted by firing on the workers, killing dozens of demonstrators and several of their own officers. In many countries, the working classes sought to make May Day an official holiday, and their efforts largely succeeded. 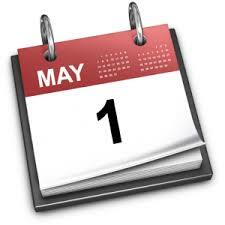 May Day has been an important official holiday in countries such as the People's Republic of China, North Korea, Cuba and the former Soviet Union. May Day celebrations typically feature elaborate popular and military parades in these countries. In 2014 we can expect to see many demonstrations around the world, especially in Istanbul and Ukraine.